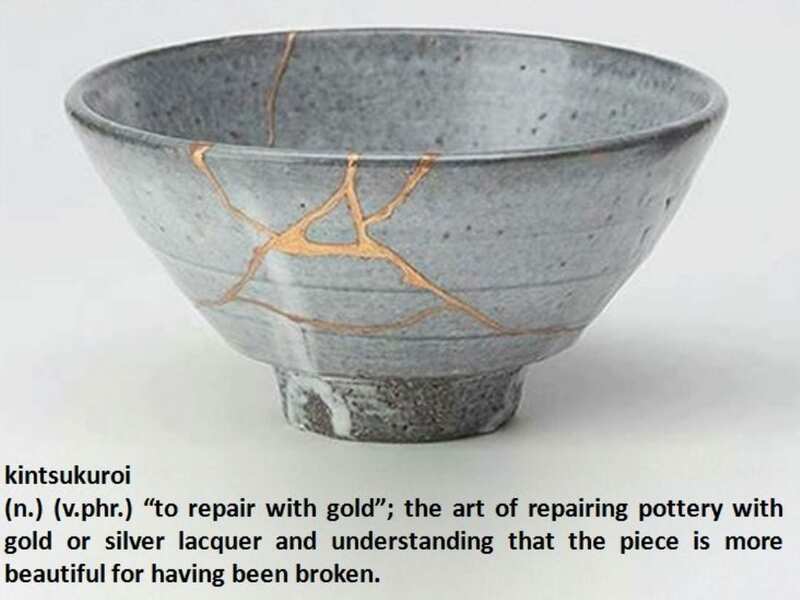 Kintsukuroi is the Japanese art of repaired pottery, but the concept goes much deeper than just pottery. Consider that a handmade object, like a bowl or cup, is revered for the care it took to make it, its beauty, and its purpose. But broken, the object is demoted and loses its honor, so to speak. Repaired, however, the object can be given a whole new level of appreciation. We might say this about people as well, that we are all fragile and sometimes we get broken. But, when we are mended again the experience can make us better than we were before- an interesting and inspiring thought.